Yes that was Dora from “I Married Dora” on Modern Family Last Week! In case you forgot the mission of this brilliant blog, it is called The DVR Files, which means I watch most of my shows on my DVR, which means I watch them late. For example, I only watched Lifetime’s Prosecuting Casey Anthony last night, and it aired on January 19. I’m wild like that! 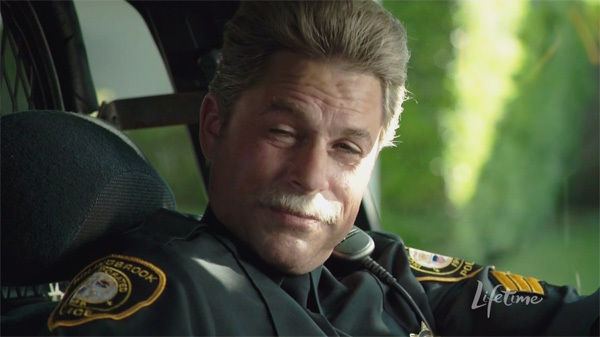 Unfortunately, Rob Lowe did not sport a sweet stache as he did in his other Lifetime gig Drew Peterson: Untouchable. Last night I also got around to watching Modern Family. Gloria brought home her new baby boy Fulgencio (or Joe?) and we got to meet her mother and sister. And I crinkled my eyebrow because gosh Mama looked familiar . . . because it was Elizabeth Pena (lo siento, don’t know how to do the tildes on my keyboard), who starred on the long-running (13 episodes!) 1980s sitcom I Married Dora. Yes that is Juliette Lewis. I wonder if she ever works anymore. The best part of casting Dora/Elizabeth as Gloria’s mom is that she is 51 in real life, and Sofia Vergara is 40. Why cast a woman in her 60s? People’s eyes would explode! 1 Response to Yes that was Dora from “I Married Dora” on Modern Family Last Week! Damn I used to think Elizabeth Pena was so hot, only to be ravaged by the hands of time. Damn you time I always wanted those to be my hands doing the ravaging!